So I have disappeared for a little over a year. But I am back! I hope, I think...at least at the moment. I am not terribly good at keeping up with my blog, as most of you know. And I thought about attempting to post a years worth of events, but decided I would loose my mind. So here is a brief run down of our past year. We moved in November to Schertz, Texas. It's just north east of San Antonio. We have really liked it here. We sold our house in June of last year and tried to find another house in the same area we were at, but nothing worked out, and through some inspiration and patience we were finally lead to Schertz. And for whatever reason this is where we are suppose to be and we are loving it. Aaron and his brother got a flip house in New Braunfels last fall and living in Schertz did make that project easier to finish rather than living on the other side of town where we were. I post more about that later. We got a dog; more about that further down as well. Caylee was baptized in December, on her birthday, so that was a big event in our family. Aaron had his first kidney stone, with I'm sure many more to come in the future. He survived and said it was bad enough to cut back on soda and meat but not bad enough to give up chocolate. Aaron has been traveling a lot this past year for work. He has been working on a class action lawsuit and leaves for three to six weeks at a time. All of his trips have been to Arkansas. And he has more to come. I hate being alone, but I am slowly getting used to it. 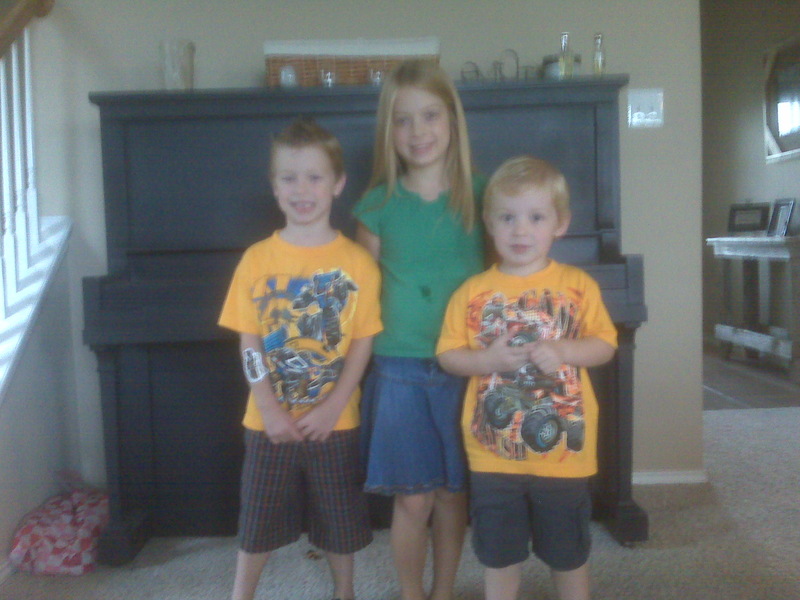 I'm still keeping busy with Real Estate and the kids are doing great! Well, I don't want to bore everyone with everything that happened this year. For the most part just keeping busy and having fun! I have a few posts below and hoping to do better with future posts! We love you all! 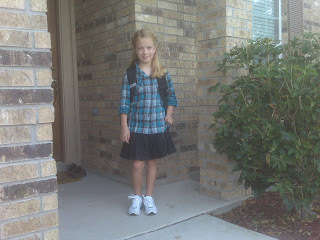 Caylee is in third grade this year...I still can't believe that...she is so grown up and mature. She loves soccer, dancing, playing piano and now she thinks she wants to start acting lessons. She wants to do everything. She loves hanging out with her cousins. And she is a great big sister. 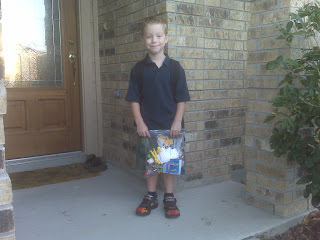 Colton started Kinder this year! He has been so excited for school! He is all boy and I think he is driving his teacher crazy. Hopefully she survives him this year. He loves learning and really loves socializing. He had a couple girlfriends at once in preschool, and he totally loved all the attention. He keep us on our toes! He loves any and all sports and is currently in soccer. 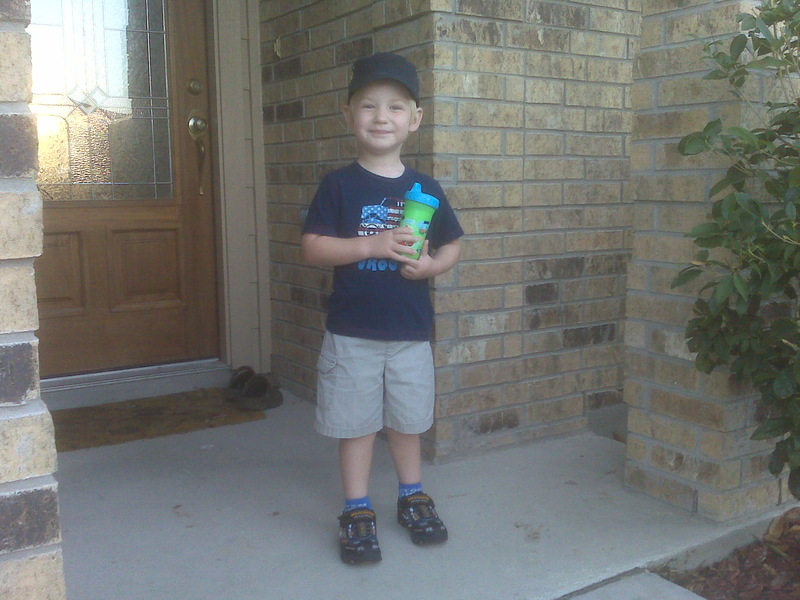 Wyatt starts preschool tomorrow. We are both excited about that. I will have two days a week to myself...and I can't wait. He is a good buddy to have during the day though, he loves to be my shadow and help with my chores. I better enjoy that while I can. Wyatt was having a hard time kicking strep throat in July and it turned out that he had a throat abscess and had to be hospitalized. Thankfully rather than doing surgery to drain the swollen gland they treated him with IV antibiotics and steroids. 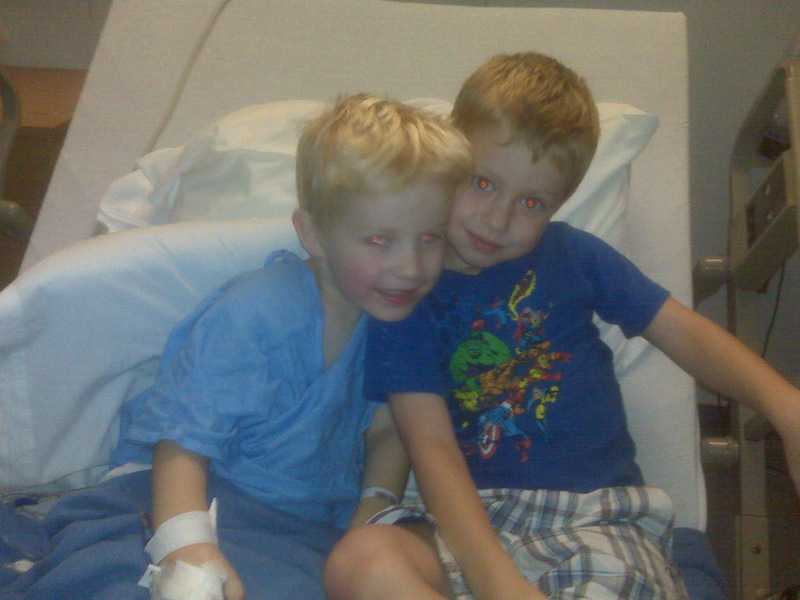 We were in the hospital for four days. It was tough because he felt fine after the first day but still had to stay hooked up to an IV which limited his activity. 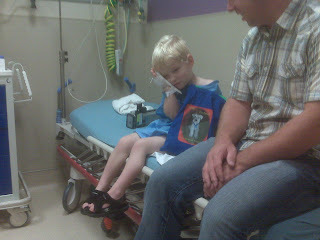 Keeping a three year old still enough to keep the IV from coming out wasn't easy. 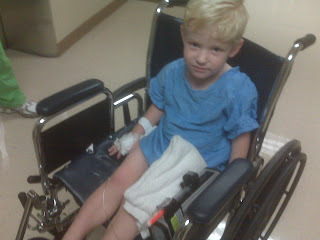 But we got through it and he was very brave. Now he tells everyone he sees, "Hi, my name is Wyatt and I went to the hospital." Everyone from the cashier at the store to a stranger walking down the street. And he'll tell you all about it if you'll let him. He's cute! Last fall Aaron and his brother, Mike, started another flip house. When they got it, it was just in the framing stage and still had tons of work. They worked on it for months. They worked hard but also enjoyed the project and working together. The house is located in New Braunfels, which is just north of San Antonio. It is down the street from a lake, great location. And it turned out amazing. They finished in May and instead of it becoming a flip house like originally planned it became Mike and Gena's house. His brother and family felt like Texas is where their future is. So they sold their house in California, packed up and moved to New Braunfels. And we are so grateful they did. We are all elated that they are so close now. It's only a 15 minute drive from our house. It couldn't have worked out any better! I had the opportunity at the end of August to check out Boston. I've never been back east...it is soooo beautiful! I could totally live there. I went with my parents and my sister Emily. We had so much fun together. We saw Joseph Smith's Birth place in Sharon, Vermont, which was amazing. We also saw a lot of the sights on the Freedom Trail. It was a great trip! I can't wait to go back. Aaron did a great job as Mr. Mom while I was gone. 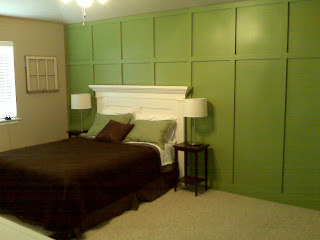 Kept the house clean, got the kids to school on time, cooked dinner and he even made me an amazing wall in my bedroom. I guess I should go out of town more often!